Feeding the multitude. A case of loaves and fishes. (Click on pix). 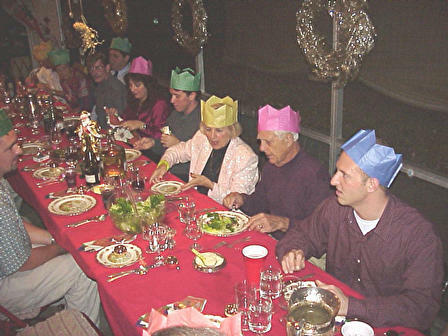 Only the fabled King told of in a Christmas hymn set a finer table on the feast of Stephen. Of the 26 souls gathered half are family and the other half are extended family. The food is prepared months in advance. Who didn't recieve Christmas cookies? Mungi!